Director Zack Snyder ("Dawn of the Dead," "300") takes on the daunting task of adapting this immensely popular 1980s graphic novel to the screen. Focusing on a band of superheroes and their very human problems, the film has had a rocky road to the cineplex, plagued by battles over ownership rights and production delays. It finally arrives at the end of March and stars Billy Crudup, Jeffrey Dean Morgan, Patrick Wilson and Jackie Earle Haley. The long-awaited new film from the great Quentin Tarantino, "Basterds" stars Brad Pitt as a tough-as-nails army general that amps up his troops to claim the scalps of Nazis during WWII. If there's anything that the film industry doesn't need right now, it's another movie about Nazi Germany, but with Tarantino behind the camera, there's bound to be something new and exciting in front of it. In this screwball comedy, Paul Rudd ("Knocked Up") plays a guy about to get married with no best man. He searches out a stand-in best friend and finds him in a doofus played by Jason Segel ("Forgetting Sarah Marshall"). As the producers would probably say, hilarity then ensues. 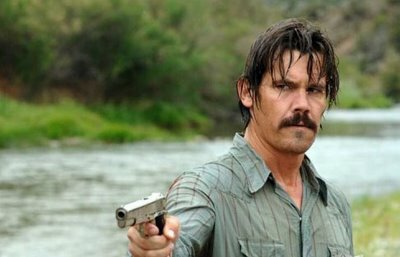 Joel and Ethan Coen's impeccably crafted, often riveting thriller follows Llewelyn Moss (last week's Good Life Blog subject, Josh Brolin) as he evades relentless killer Anton Chigurgh (Oscar-winner Javier Bardem) with a big bag of drug money. The film features no musical soundtrack, but it's so involving, most viewers don't even notice. 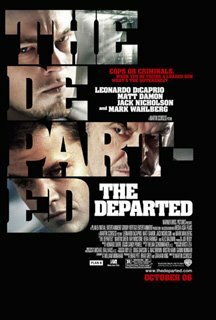 The film that finally got Martin Scorsese an Oscar for directing, "The Departed" is as good as cop-and-crook action movies get. Edited with slick fury and starring a handful of Hollywood's best (DiCaprio, Nicholson, Damon, Wahlberg), this savvy remake of Hong Kong's "Infernal Affairs" is a must for any cinephile. 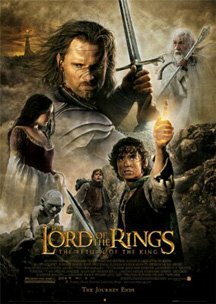 Perhaps the most visually spectacular motion picture ever made, this triumphant final chapter of Peter Jackson's enormously ambitious adaption of J.R.R. Tolien's classic fantasy trilogy redefined the film epic. It won 11 Oscars, including Best Picture, a clean-sweep that many believe was the Academy's way of rewarding all three remarkable movies. Remember "Hollow Man?" That absurd supernatural thriller from 2000 starring a disembodied Kevin Bacon? It's okay if you'd rather not. But that's the type of lackluster projects that Josh Brolin -- who had a supporting role as a scientist in the film -- was engaged in at the start of this decade. What a difference a few years can make. In 2004, Brolin -- who, incidentally, turns 41 today -- began re-building steam with a small role in Woody Allen's ensemble dramedy "Melinda and Melinda." Three years later, the former "Goonies" star exploded. In 2007, Brolin had an incredible string of hits, starring in such diverse titles as Robert Rodriguez's "Planet Terror," Ridley Scott's "American Gangster," "In the Valley of Elah" with Tommy Lee Jones, and the Coen Brothers' Oscar-winning "No Country for Old Men" (above). It began to seem as though Brolin had the Midas touch -- if a movie had him in it, it must be a must-see. 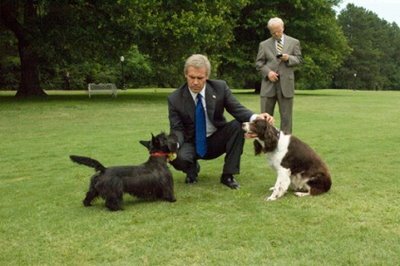 Brolin continued his streak last year with a tremendous turn as none other than former prez George W. Bush in Oliver Stone's "W." (below), and as the infamous 1970s assassin Dan White in Gus Van Sant's "Milk" -- a performance that landed him a Supporting Actor Oscar nomination. "W." just arrived on DVD and the Oscars are only 10 days away. With all that and a birthday, February has shaped up to be a pretty big month for this versatile star. And what's next? A western-thriller entitled, "Jonah Hex," co-starring John Malkovich and directed by John Hayward. Apart from its 2010 release date, that's basically all I know about this film, but it stars Josh Brolin so it must be a must-see. The sixth installment of the insanely popular film franchise looks like it could be the most mature and epic "Potter" yet. And with returning director David Yates ("...Order of the Phoenix") at the helm and all the usual suspects on screen, the long-awaited "Half Blood Prince" is sure to be one of the biggest films of '09. Joaquin Phoenix, Gwyneth Paltrow and Vinessa Shaw star in James Gray's love story about a depressed man, the woman his parents set him up with and the...other woman. This is the international trailer, so mind the French subtitles. Since Phoenix recently announced his retirement from the acting game, this film may be the last time to catch him. Two-time Academy Award nominee Amy Adams, Golden globe winner Emily Blunt, and Academy Award winner Alan Arkin star in this fresh comedy about two women who start their own crime scene cleanup business and experience personal growth in the icky process. Directed by Christine Jeffs and from the producers of "Little Miss Sunshine."